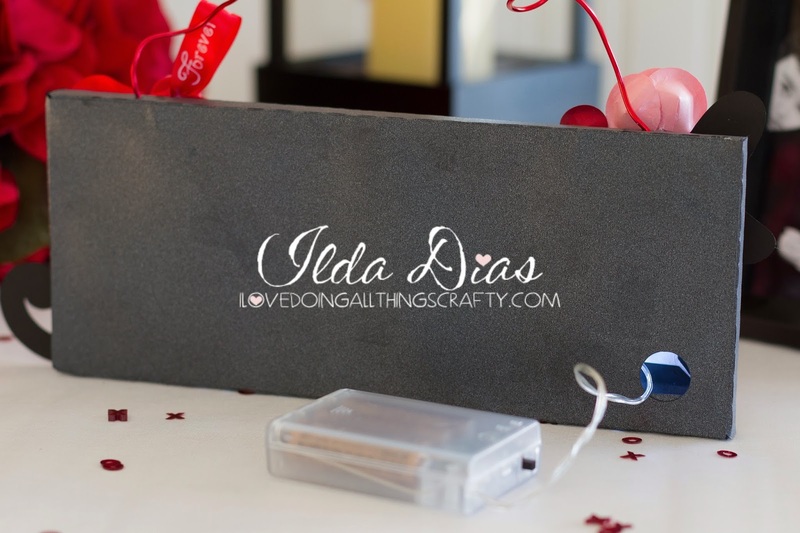 I'm really excited to share with you my latest SVG Cuts DT creation! 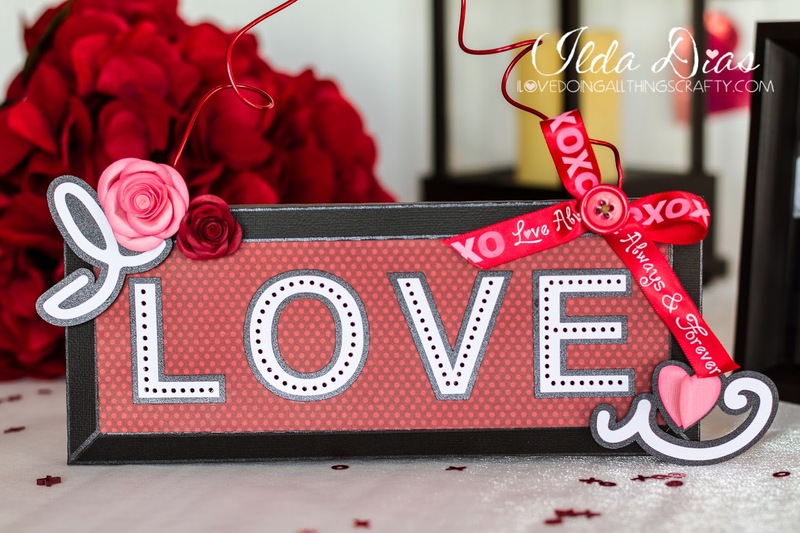 Inspired by the recent marquee craze, I though I would try my hand at creating a Valentine "I Love U" sign! 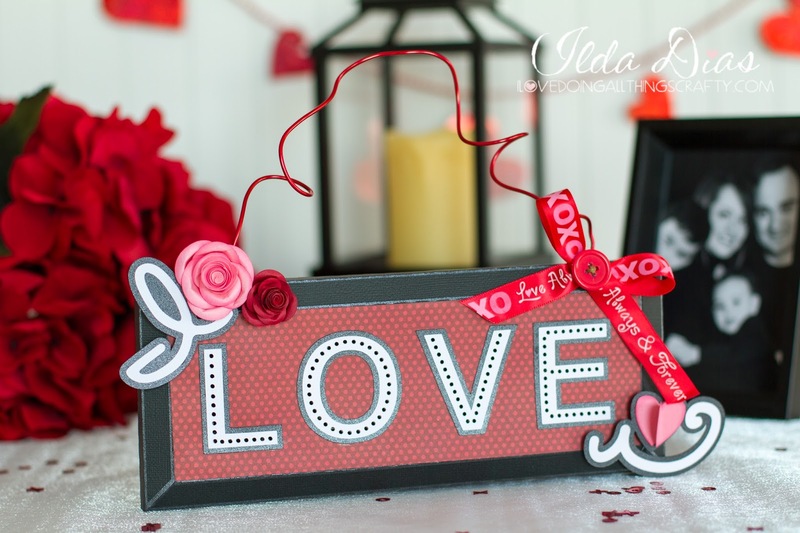 This project makes a great Valentine decor piece or a unique gift idea! For complete instruction on how I created this project make sure you click HERE. Here is what it looks like when the room lights are turned off, and the LED lights are turned on. Love how it looks in the dark. Ooooo, Aaahhhh! To create this look, I used a battery operated string of LED lights and added a hole to the back panel and strung them through! Clever right?! The coolest part, is that this battery pack has a built in timer that turns on every 24 hours and stays lit for 6 hours! I don't ever have to touch it!!! A pleasant bonus as I found them at the dollar store... Amazeballs, right?! If you want to, the battery pack could easily be attached to the back and then the sign could be hung on the wall! 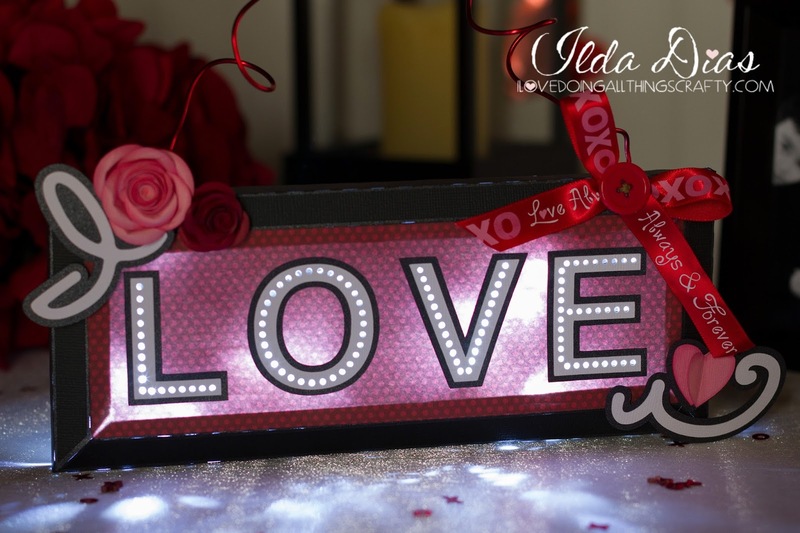 Hope you've enjoyed this project, maybe even inspired you to create your own LOVE or any other WORD sign for that matter!